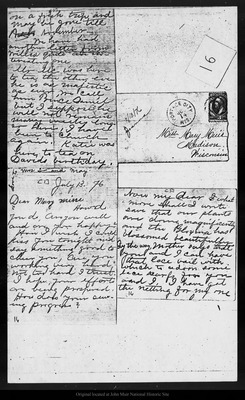 Letter from Joanna [Muir] to Mary [Muir], 1876 Jul 13,14. John Muir National Historic Site. Please contact this institution directly to obtain copies of the images or permission to publish or use them beyond educational purposes.